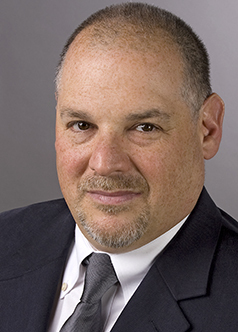 Stuart Levy, PhD, is a Principal Consultant at SGL Chemistry Consulting, focused on the advancement of small molecules from discovery into clinical trials, since May 2010. Dr. Levy has broad and significant experience in troubleshooting and solving problems in the pharmaceutical industry related to chemical and pharmaceutical development. Previously, Dr. Levy was the Director, Chemistry at PPD Dermatology, where he was responsible for chemistry and CMC development of new candidates for topical treatment of dermatological disease. At PPD Dermatology, he led the advancement of a candidate compound from late discovery to an IND, for which he wrote the majority of the CMC section. In addition, Dr. Levy was a key participant in building a dermatology therapeutic pipeline. His responsibilities in this area included due diligence of in-licensing and partnering opportunities, and research and business development focused on identifying target mechanisms of action and in-licensing and partnering entities. Prior to PPD Dermatology, Dr. Levy was the Director of Pharmaceutics and Manufacturing at Elixir Pharmaceuticals. He led and managed three projects, two preclinical and one late-stage commercialization opportunity in-licensed from Japan. At Elixir, Dr. Levy staffed and led virtual development teams in preclinical CMC development activities and cGMP manufacture of clinical trial material for Phase I - Phase III trials. At Elixir, he also participated in due diligence and identification of new tractable target mechanisms of action in metabolic disease. Dr. Levy received a BS in biochemistry and a PhD in Chemistry from the University of Illinois. I found IdeaConnection when I joined the Chemical Consultants Network. They listed IdeaConnection as a source of problem solving opportunities for chemistry consultants. I have worked on one challenge, and I have won that one! The challenge I worked on was moderately difficult. Once I started looking at the materials provided that were specific to the challenge, I developed a hypothesis that turned out to provide a theoretical solution. Further details fell into place as I worked on it more. It is important to have a sense of where to start on a problem. One needs traction as a start to build on, to move toward the solution to a problem. The team proposed about six or so ideas before focusing on what became the solution. I was very pleased to be part of a successful problem solving process. It is always a thrill to solve a challenging problem, particularly one that has practical implications and application. I enjoy and value the experience of working on solving problems both by myself and in a team context. The aspects I appreciate and enjoy about working on a team are: subjecting my ideas to consideration by others, achieving something that I would not have necessarily achieved alone, the process of collaboration, debate, persuasion and thought that takes place in a team effort, the learning experience of hearing considering and working on the ideas of others. Working with professionals of other cultures has been integral in my career over the past 20-25 years, and I find this experience enriching, stimulating and invigorating. Different perspectives are always valuable. I believe that a few of us who were actually experts in the discipline pertinent to the problem did have the most influence on the submission of the solution, particularly towards the end. However, the participation of the others was crucial in order to vet the hypothesis and solution, and to make sure that the redefinition of the problem and the explanation of the solution made sense. I have gained an increased sense of my ability to solve complex technical problems quickly and practically as a result of my participation on this challenge. I now have a better sense of my leadership skills in the definition and solution of these types of problems. The experience has also motivated me to continue to work on additional challenges. I am very interested in working on more Challenges. I thrive on being presented with problems that require definition and solutions, and that draw on my technical background. This is why I am a consultant in the field of chemistry. A facilitator was very helpful in setting up meetings and helping to influence the direction of the team without getting in the way of the work of solving the problem. This takes good judgment and restraint, as well as leadership skills. Working with IdeaConnection was generally a very satisfying experience. It was great that there was some exchange between IdeaConnection representatives and the Solution Seeker, and this gave us encouragement and an opportunity to solve the problem, which we did, theoretically. We are now working on the reduction to practice, and I’m hoping that we win that too!